EDIT: here’s the stable release VSTPlugin v0.1.0 released! Hi, I’m happy to share a pre-release of VstPlugin. It’s been a month since the last test release and the project has developed a lot thanks to all the valuable feedback and discussions I had. NOTE: Many method names and parameters have changed, so old examples probably won’t work. I’ve updated the documentation and added some examples (could be more, of course). I think it would be also good to have a short Tutorial/Guide. VstPlugin is now fully realtime-safe! class methods for searching a Server for plugins (in the platform specific default paths and/or user provided paths). each searched plugin is stored under a key which is generated from plugin name + subfolder (e.g. ‘GVST/GChorus’). those keys can be used in -open. -open now also accepts relative paths (which are resolved to the currently executing file). 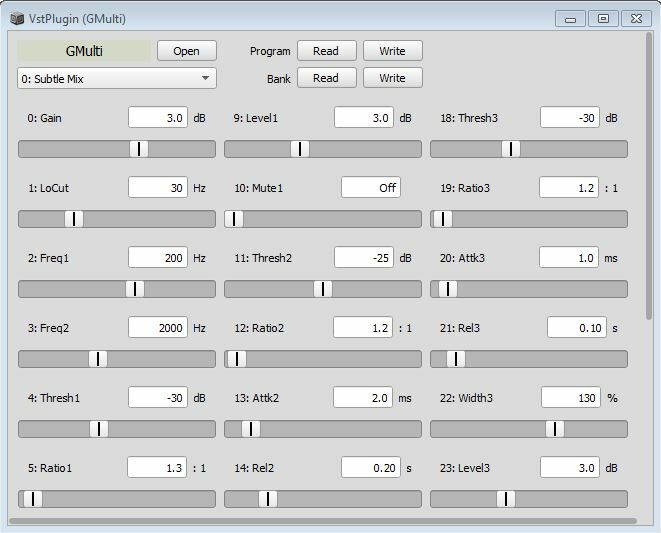 easier to use VST instruments: the -midi method returns an instance of VstPluginMIDIProxy which basically has the same interface as MIDIOut and can be used as such (e.g. as the MIDI target for \midi Pbinds). all other MIDI messages have been removed from VstPluginController (except for raw MIDI). -showGui is gone; instead there’s -editor to show the VST editor (Windows and Linux only) and -gui for the Qt GUI. -gui now follows the SC conventions and can be either opened as a new Window or embedded in existing views! VstPluginGui also has a pop-up menu for changing programs, panels for reading/writing program/bank files and a dialog for searching, browsing and opening plugins. WOW ! Thanks a lot, this was really needed ! Hope you’ll find a solution to display VST Gui on MacOSX ! Superb ! Hope you’ll find a solution to display VST Gui on MacOSX ! I’m afraid that this won’t be possible without changing some internals in SuperCollider. I have to discuss this with the devs and maybe we can work on a solution together. But first I need to integrate VST3 support, finish the release and get it into the SC3 plugins. Only then it makes sense to even approach this problem. This is really awesome work, thanks a million ! Will try a few VSTs and report back if needed ! This is really awesome work, thanks a million ! Definitely! I’ve been in touch with Christof during the last weeks and did some testing with patterns. I used simple vst instruments, but had enourmous fun with pattern control of basic params (via midi and/or VstPlugin setting, both can be handled with comfortable event types, one possibility was shown by @Geoffroy). Together wíth LFO controls and vst fxs this is an overwhelming extension of SC’s possibilities. GUIs are fine and a nice way to explore, but IMO the real power lies in the combination of the myriad of existing vstis/vstfxs with SC’s control and processing options. Myself I’m currently a rare vst user but I don’t know if this will change in future, thank you so much for this, Christof! thanks again for your input, Daniel! Its great to hear that people enjoy it. Server ‘localhost’ exited with exit code 0.
would be interesting if you could give me the console output (maybe in a PM). EDIT: I’m actually thinking about probing plugins in a seperate process to avoid any crashes of the Server. it’s probably worth the hassle. Thanks a lot, this is really great!!! And goes on… Also checked the verbose. Any idea how to solve it? 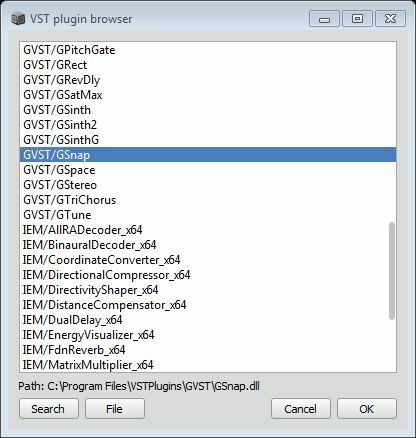 as the name suggests, VstPlugin can only load VST plugins thanks for testing! Many times until the IDE crashes. Server 'localhost' exited with exit code -1073740777. This was not happening with the TubeScreamer, Mesa Boogie and Chorus VST. It was mainly happening with the amp emulation. always use VstPlugin.search(verbose: true) to find out which plugin crashes. only buggy plugins should crash the Server in the search because I’m doing nothing but opening them, getting some info and closing them. this works with every decent plugin I’ve tested… but I’m working to make the search safe in a way that it never crashes the Server. for the mercurial VST it seems like it’s printing repeatedly to stdout which floods the console. how many? I might need to deactivate stdout during the search… anyway, thanks for reporting! Thank you for this fantastic work. VST in SC is one of my dreams! Currently, I am on macOS 10.14.3. 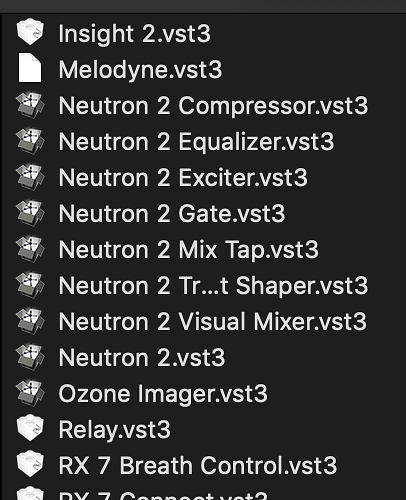 I have copied the folder “VstPlugin” into “~/⁨Library⁩/⁨Application Support/⁨SuperCollider⁩/⁨Extensions⁩”. , but the result was same as @droptableuser. 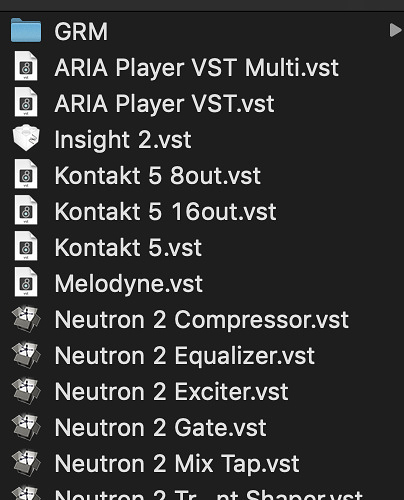 probing 'ARIA Player VST' ... ok! probing 'Kontakt 5 16out' ... ok! probing 'RX 7 Spectral De-noise' ... ok! Server 'localhost' exited with exit code 0. This is the result of the third time. , and the server status bar was changed to yellow. I killed the server and rebooted Server or relaunched sclang, then re-evaluated the two codes above. Please let me know if I should create an issue on https://git.iem.at/pd/vstplugin/issues?fbclid=IwAR3W3t04QtFbzBQ2j671D5tt3TQiK8vFTlr6l9N4TBikv5hV65Sw9Ar8j1w. Daniel(or anyone), can you post an example of controlling parameters with patterns? On my machine (macOS 10.14.3) vsts aren’t showing up as MIDIClient destinations and I can’t figure out what to name the midi port. It seems great. I will try VST-instrument and effect as soon as possible! ‘Waves Mercury’ provides VST2 and VST3 as well as AU under macOS. Usually, plug-ins provide individual VST files in the VST2 folder. However, Waves plug-ins provide only one file: “WaveShell1-VST” in VST2 folder (“WaveShell1-VST3” in VST3 folder and “WaveShell1-VST” in AU folder). This WaveShell1 then links all plugins in the Waves plug-in folder. This is very unique. Could they be detectable in SC? @prko I see, it’s a shell plugin. I’ve only read about those. is there a chance you can send me the plugin bundle? I don’t need the license, I just want to see the bundle structure and investigate the binaries to figure out how to deal with them.